One of my biggest priorities in Preparedness is increasing my food stores. Although not difficult – for me it is a matter of money, space, organization and planning. One of my favorite food storage staples is peanut butter. 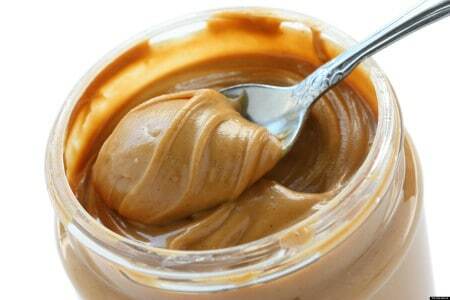 Peanut butter can be eaten right out of the jar, on crackers, on bread – it just tastes great. From a nutritional viewpoint – peanut butter does pretty well. High in fat and containing equal amounts of carbohydrates and protein – it has the calories needed to make a big dent in your caloric intake needs daily. Now – I have no plans to live on peanut butter – but it certainly can be included in a post-TSHTF diet. 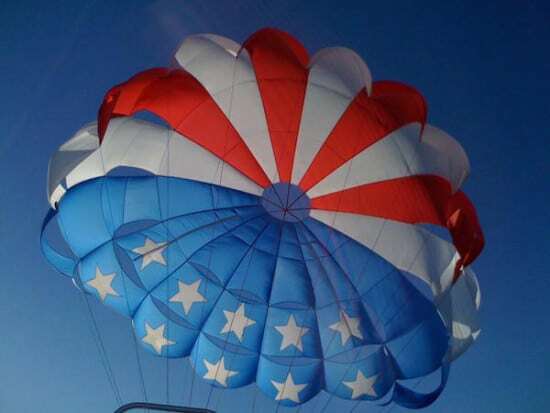 It also could be a great morale booster for those that may be getting board with their survival diet. Peanut butter is also very useful as an ingredient in baking. Shelf life is excellent – coming in between 1.5 to 2 years or more for a jar. I have found that some brands are lower than others – so shop around. 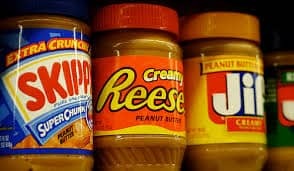 Since my family consumes peanut butter on a regular basis – it is an easy food item to rotate on the shelf to keep fresh. I currently keep my peanut butter stores in an extra freezer in my garage. I feel that this method “freezes” the lifespan meaning that once thawed I will have 1-2 years or more of life left. Cost? Very cheap. Buying on sale as well as using coupons a typical jar can run under $2.00. Also – multi-packs as well as large value sized jar can be purchased at a discount at wholesale clubs like Costco and SAM’s Club. Peanut butter is a great addition to any size food storage program – whether it be a 72 hour kit or a 1 year supply. Time to go get some Ritz crackers and peanut butter. Yum! Have you tried any of the Peanut Butter Powders? I have and they are really good. In side by side taste tests, I could not tell the difference. All you do is mix it with water. Less fat and it will keep almost indefinitely. Peanut butter is a great high energy food source and we always keep several large jars in our supplies. We used to put a big scoop on a plate and let the kids dip their apple and banana slices for a snack. Just make sure no one in your family has an allergy prior to giving it to them. On a related note: My father joined the army at the end of WW2 and by the time he arrived in Germany, the war was over. He never saw fighting, but instead was assigned to helping with the people liberated at the concentration camps like Auschwitz. He said that the people were in too bad a shape to give much food to, but that they would make a soup of hot water and peanut butter to get some nutrition into them. During SHTF you will want that fat in your diet. SHTF is not the time for low fat, low cal diets. I used to carry the peanut butter in the cans and the sea rat crackers and the tropical hersey bars in my but pack when on patrols back in the day . I didn’t know I was eating comfort food , Hehe. Our household goes through roughly 24 large jars of peanut butter a year. I love the looks on people’s faces when we do our yearly stock-up at Sam’s Club! Having lived in Mobile, I learned that peanut butter indeed has a shelf life and high temperatures definitely shorten. Traveling quite a bit in those days, I would close up the house, turn off the cooling and hot water and then come back, sometimes months later and yup, that peanut butter was really off. As reported previously, I have gallons frozen and cannot tell the difference between that frozen 10 years ago and just purchased. Rather than the pandering MLK, the blacks should have chosen someone really worthwhile like Carver (who invented peanut butter) to idolize – one peanut butter junkie to the other. Some may say a little pricy but I say quality is expensive. Every prepare should have one of these and replacement parts. On a US Government website dealing with food (alright, stop frothing at the Gov’t, you loonies) it was stated that peanut butter alone can supply 90% of your daily nutritional needs. An odd-sounding but excellent use for it is to mix it 50/50 with peanut butter and ketchup. Throw in so cayenne to tobacco and while it is in a thick, pasty state, firmly coat chicken legs. After an hour at 300 degrees, chow down. I got this from an African cookbook, and have found that all of it’s recipes are quite good. Preppers are supposed to be adventurous and open to new and different forms of food. Now, I myself wouldn’t want a sheep’s eyeball, which the Berber’s consider an honor to be given at mealtime, but I’ll eat all the sushi you can put in front of me. I have never had “long pig” (human flesh) as the many different tribes on the Island of Papua & New Guinea call it colloquially but they claim the best part is the flesh between the thumb and index finger . Maybe that’s what (I’m pretty sure, based on what I have read) happened to the Rockefeller boy when his plane when down over the Island. At the time it was policed by Australians, and still is to some degree. Yet from time to time even now, a “long pig” goes missing. They don’t care what color you are–all that skin peeled off and we’re all pink. But all in all, it’s a hell of lot safer than the streets of any big American city.